Spring is in the air high above the City of Boulder on Flagstaff Mountain. 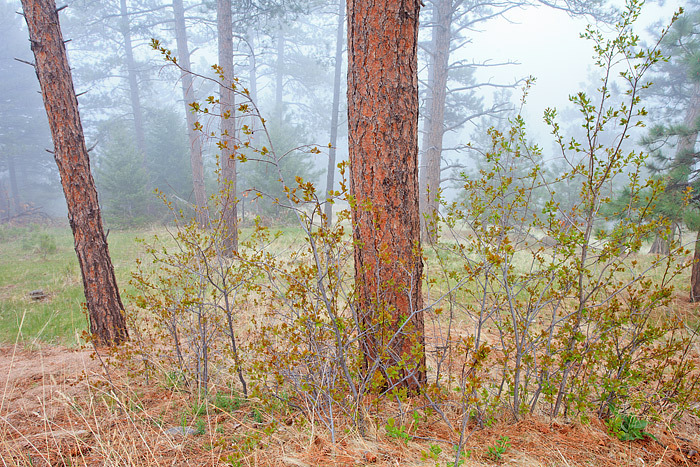 Rain and fog coat the spring growth at the base of the Ponderosa tree's on Boulder Open Space and Mountain Park property. Photo © copyright by Thomas Mangan.